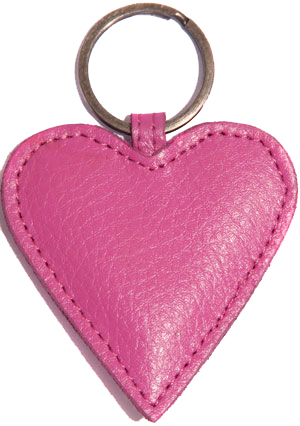 A bright pink leather softly padded heart keyring. Approx. 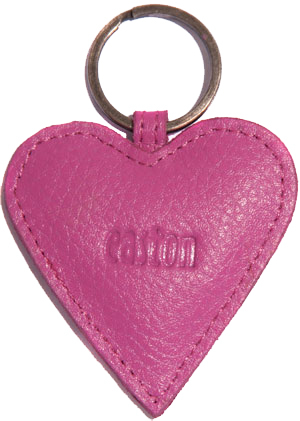 size 6.5cm x 6.5cm.